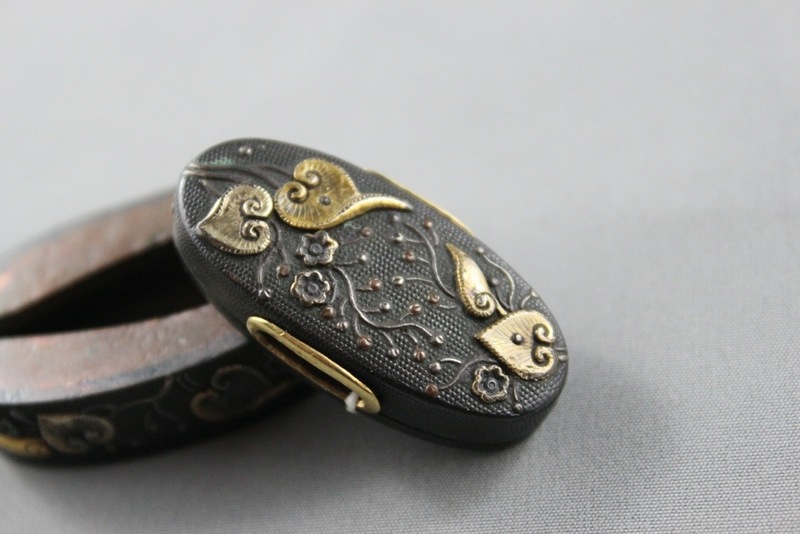 A finely detailed set of Fuchi Kashira in shakudo with hollyhocks in gold. Excellent fine detail and color. Nice nakago ground. 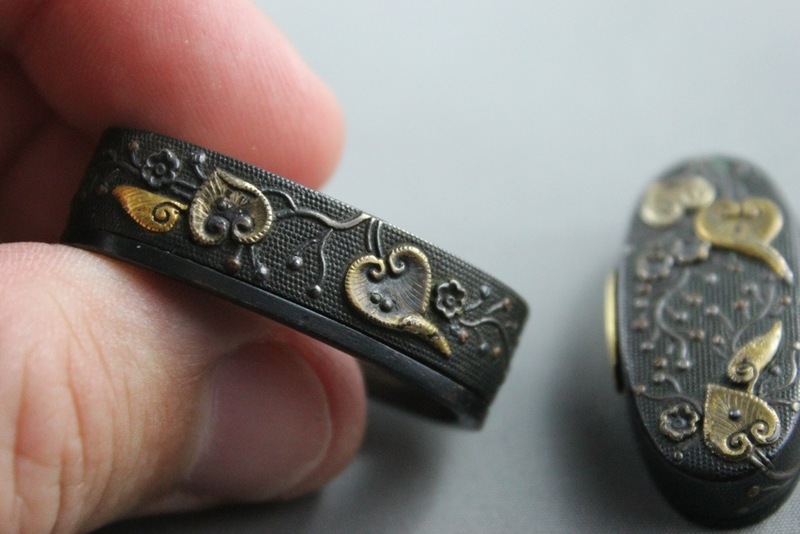 The shakudo rims are sleeve inserts. Suitably sized for a katana. 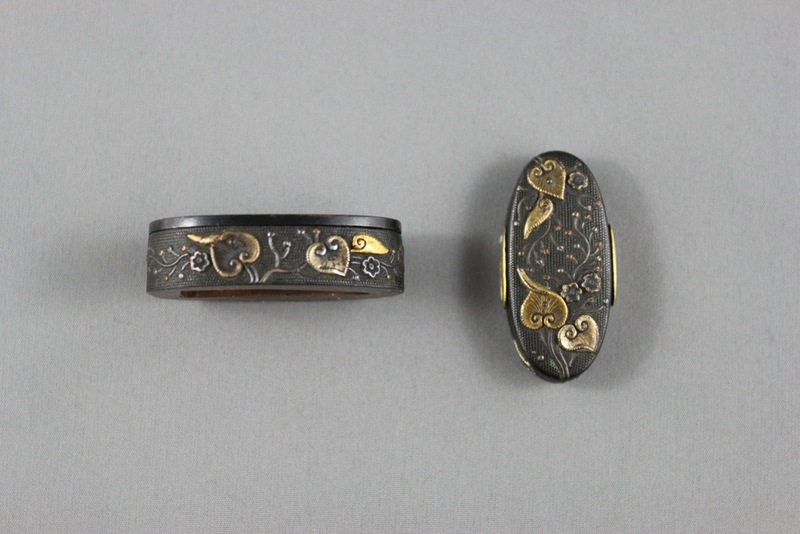 According to Robert Haynes, “The fuchi/kashira is very nice and is a Sendai-Goto work dating about ca.1650. The work is very nice and worthy of being in a collection”. Sendai, at the southern end of the province of Mutsu, was the seat of the great Date family throughout the Edo period. 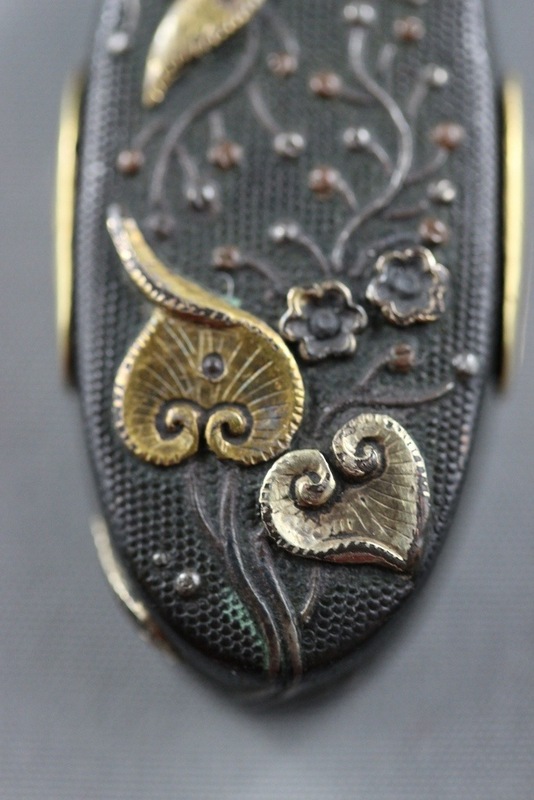 A number of good craftsmen worked under the patronage of the Date including the Kusakari family, founded by Kiyosada. 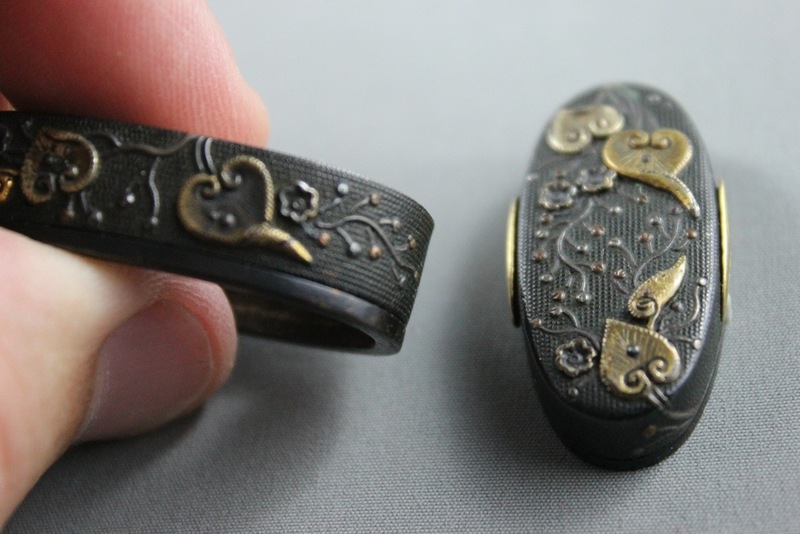 The main characteristics of the Sendai school include shakudo of leather-grain ground with decorative designs in fine gold wire inlay outlined with somewhat thicker wire which is slightly raised. 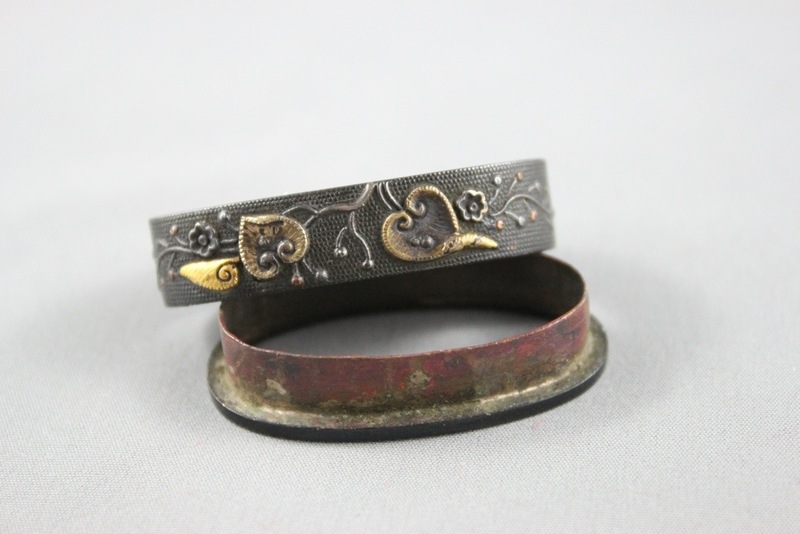 The Sendai used many different styles when making kodogu. They did a very fine job of copying different schools. 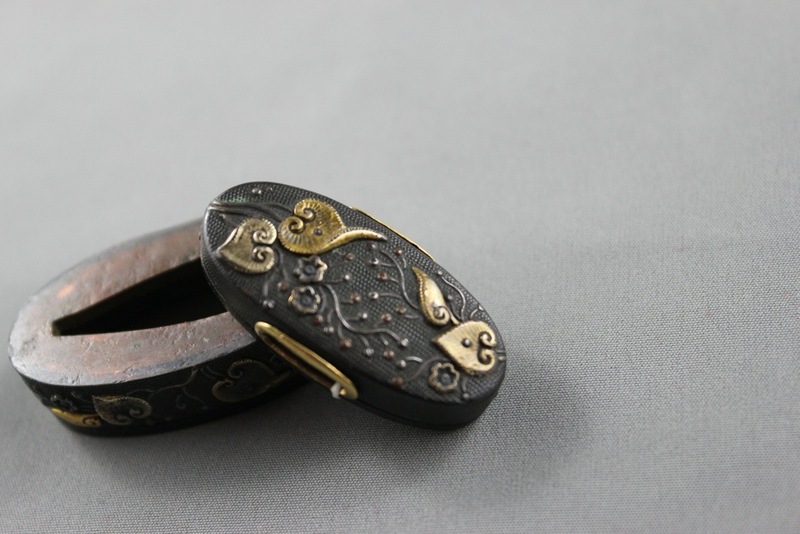 This fuchi/kashira is a good example of the Goto school style.